Ladies and gentlemen, the historically based fantasy world of Warhammer, beyond naval expeditions, found one way of pitting Dwarfs against Lizardmen. This was by the means of the lost hold of Karak Zorn in the Southlands, having Lizardmen in their southern vicinity. (Karak Zorn always had a vibe of Prester John about it, but it was ultimately not meant as a realm of Ethiopian fantasy Dwarves.) However, a brief glance at history will make it instantly clear that Warhammer (for all its brilliance) missed an open goal for pitting Dwarfs against Lizardmen, and thus missed a chance of making Lustria itself into something more than an almost purely Lizardmen continent. We're of course speaking about the Andean civlizations, of which the Inca Empire with its well-organized army is the most famous, but which also include such cultures as the Moche, Caral and Nazca, to name a few. 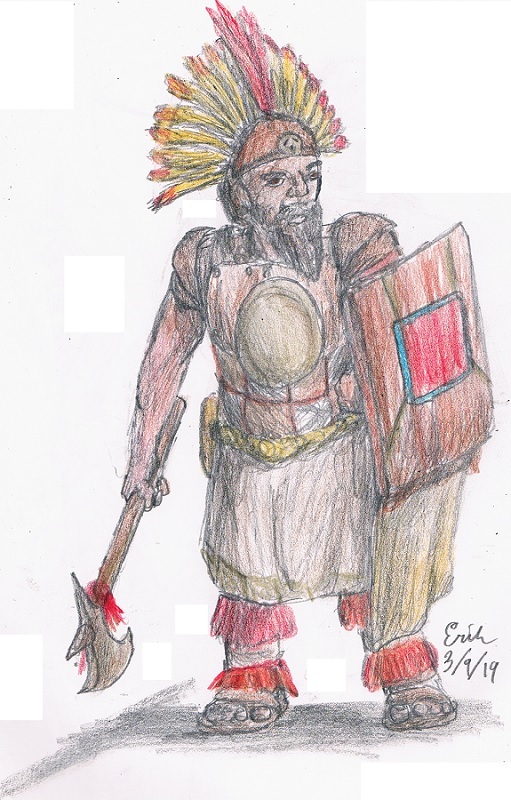 Lord-Triceratops on Deviantart has already dabbled some with the concept of Incan fantasy Dwarves, including their use of domesticated Glyptodons. 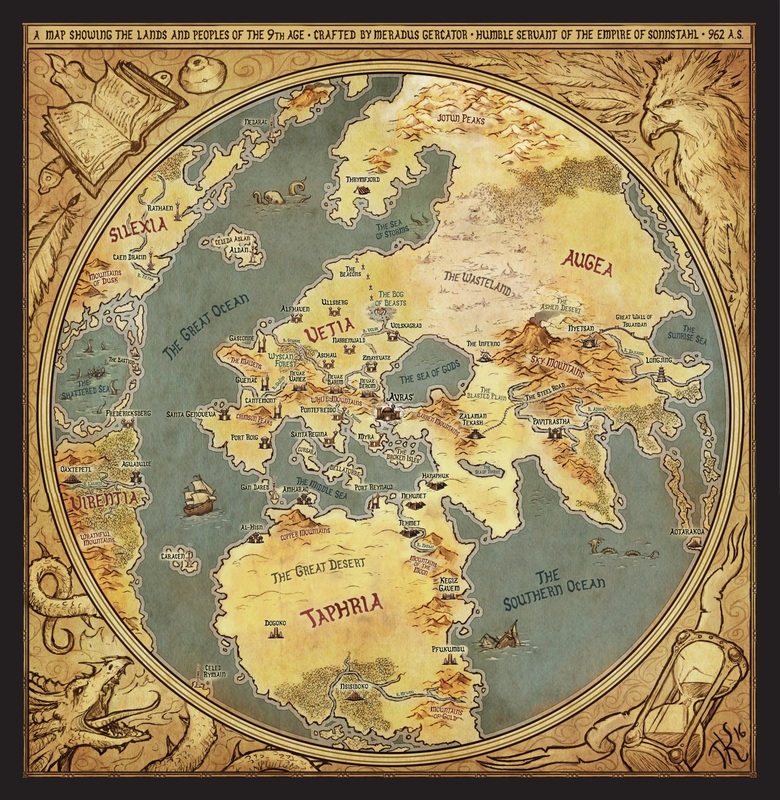 Let the Ninth Age be the first major fantasy setting to sport Andean fantasy Dwarves: Mountain dwellers, miners and skilled metal workers who build terraces, roads and towns in stone on altitudes few other peoples would even consider to climb. Sounds Dwarven enough? Then let's head for the Wrathful Mountains in faraway Virentia, and follow the rumours of gold! Just to get the ball rolling, here are some proposals: The Virentian Dwarves of the Wrathful Mountains have been isolated from all others of their kin since the most ancient ages. Originally imported as mining slaves for the Saurian Ancients during the distant First Age, these Dwarrows endured a longer slavery than others of their kind, for they lived close to the Saurian power centers of tropical Virentia, and were among the few peoples who still endured the Saurian yoke for many centuries after the Heavenly Mace set others free. Nevertheless, the great comet still set in motion a long and arduous struggle for freedom, for the bands of escaped rebel slaves waged a long guerilla campaign in the mountains and in the mining tunnels. After a long and bloody struggle, the Dwarves of the Wrathful Mountains drove out their former Saurian overlords. Freed at long last, these Dwarves peopled the long mountain chain and heavily fortified their nigh-inaccessible dwellings, building kingdoms and city-states that battled Goblins, Saurian Ancients and each other alike. Slowly, and through many blood-soaked setbacks, the Dwarves spread throughout the great Virentian mountains, and emerged from the highlands to colonize some of the coastal lowlands to the west. And to this day they will make any Saurian intruders come to regret their quest for regaining lost glory, for the Wrathful Mountains were thus named for a reason. Are these Dwarven Holds, or Infernal Dwarves? Should T9A go for an all-encompassing empire like the Inca, or go for a smattering of independent Dwarven Holds? The former conform to the Renaissance reality, the latter to the older historical reality of the Andes, and may open up for more local variation and opportunities for rowdy infighting. How advanced are these Virentian Dwarves? Given the Inca's comparatively sophisticated grasp of technology, torsion war machines could possibly suit their fantasy counterparts, since Dwarves are more mechanically minded than humans, and live longer thus not wasting all that accumulating knowledge and skills on an early grave, resulting in higher levels of technology. What do you think? What about slings, spear-throwers and bows instead of crossbows as infantry ranged weapons to underline the lower level of technology compared to Dwarves of all kinds found in Vetia, Augea and Taphria? There are many fields of opportunity to the ardent thinker here, so please contribute your ideas and criticisms to this brainstorming! I have neither the time nor intent to turn this into a Homebrew army book, but anyone who wish to, is more than welcome to do so. This is a natural extension of Northern Dwarves, Kegiz Gavem and Dwarves of the Copper Mountains. There can be no such thing as too many Dwarfs. Roll out your thoughts on these potato-eating Dwarves and let's make the world of the Ninth Age distinct also in this quarter! Cool concept. I think you could have standard and infernal dwarves in the continent. It is a big place and mines would have been well separated leading to multiple revolutionary movement. Infernal dwarves obviously utilizing fire sorcery/daemons (sorry not T9A literate) and playing up the sacrifice aspect of Incan/Aztec culture. Possibly binding daemons into animals. The standard dwarves animating statues. Again to differ from other pld world dwarves the statues could be animal/totem based snake like caymen panther jaguar etc. Longer association with saurians might have led to more magic/rune binding. You could go down the lack of iron route with rune encrusted war clubs. Obsidian daggers, obsidian encrusted clubs (for both types). As for artillery again standard torsion engines with animal totemic themes fir standard dwarves but enslaved/mutated/daemon bound animals for infernal dwarves. Like tortured bloated snakes spitting incendiary venom as counts as firearms. Sort of twisted Lizardmen technology, which would fit fluff wize. I hope you all agree that these are ideas well worth picking up on. So now we need a name for the Virentian Dwarven Holds, and Infernal Dwarves, respectively. Proposals are most welcome! One could of course base the Dwarven Holds more on e.g. 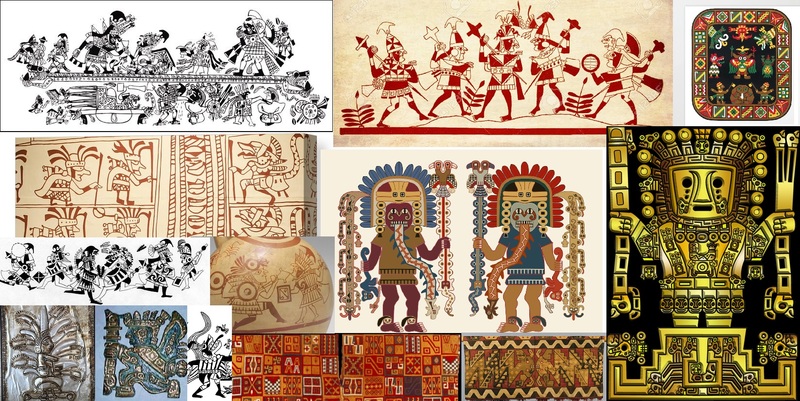 Inca, and the Infernal Dwarves more on Moche or some other Andean culture. By the way, I warmly recommend everyone to check out coricancha's astounding Pre-Columbian tropical American gallery, filled to the brim with colourful illustrations and marvellous designs based on meticulous studies of archaeological finds in particular. The post was edited 12 times, last by Karak Norn Clansman ( Mar 26th 2019, 6:34pm ). I think that, due to short stature, dwarfs would still develop crossbows as a mainline ranges weapon. A bow's power comes from its length, unless of course the Andean dwarfs develop bows made from iron, then they may be able to get good power out of a shorter bow. @infamousme: True! Crossbows and Dwarves go well together. Would be a shame to lose out on that combination. The story of their origin seems plausible enough. After all, whole populations in the Caribbean are there because their ancestors were brought there as slaves. And you'd always get free-states or hidden communities where slaves could flee to. I also likes that it opens up more options for conflict in the new world (which in 8th ed is mainly just a continent with DE in the north and LM in the south and not a lot happening otherwise). - I think that having a single kingdom makes most sense for a couple of reasons. Smaller, independent kingdoms are too easy to overcome with such a powerful neighbour who thinks you're their subject anyway. And the shared hardship would give a natural bond between the people. - On religion I would think that they hold to some bastardized, ancient form of the dwarven religion, combined with a worship of the ancients. If they were brought to the new world in ancient times then they brought their religion with them then. And it started to deviate from the rest of the dwarven religion at that point. And it's common to see that then the old religion is mixed with that of the ruling class, in this case the LM with their worship of the ancients. Even more so if the dwarves actually served the ancients then. - regular or infernal dwarves, both are possible. It's easy to see that some chaos servants have helped the first free dwarves escape. And in that process managed to subvert them to chaos. On the other hand, perhaps they were a bit too hidden initially for chaos to know or care about them. There is even a middle ground possible. The dwarves in the northern part of the "Andes" and around the Caribbean sea are regular dwarves. And those closer to the south pole, which in WH at least, has a chaos portal similar to the one in the north are infernal dwarves. This middle ground solution has the added bonus of opening up even more areas of conflict. WH (8th and earlier) is always very focused on the old world. Having chaos impact other continents and places makes the conflict much more global. As a side note, if this middle ground solution is chosen then the LM will need some more lands to expand to, otherwise they end up with a very small space in South America. My suggestion would be for a whole stretch along the equator, through Africa and on the islands of Indonesia. Basically, where there is rainforest you'll find LM. I actually don’t think I’m drunk enough to fully appreciate this. One of the greatest empire the world has ever seen was that of the Incas. Archaeological masterpieces like the old towns of Machu Pichu and Cusco (both in modern day Peru) are well-preserved reminders of what was once a great civilization. Before the Spanish conquistadores took over power in the 16th century, the Inca Empirespread out over a 2 million square kilometers, covering parts of contemporary Peru, Ecuador, Bolivia, Colombia, Argentina and Chile. Unlike the other great civilizations of Latin America, the Aztecs and the Mayas, the Incas didn’t have a special god for alcohol or drunkness. However they did believe that through intoxication they could communicate with the spirits and gods. To get the job done the Incas were consuming large amounts of a corn beer named chicha at all their festivals and rituals. A drink that can still be found in the countryside of Peru. The legend says that chicha was invented by accident during the rule of Tupac Inca Yupanqui (1471-1493). The Incas had large state owned farms where they grew corn on terraces. But once there was such heavy rain that water got into the silos where they kept their corn. This harvest seemed ruined and the corn mash was thrown out with the garbage, where a local poor guy found it and drank from it. Apparently he got incredibly wasted that day and a new hype was born. Besides chewing coca leaves, the Incas now had a new way to communicate with the gods and spirits. Although discovered by a poor man by accident, chicha became the favorable drink of the nobility in no time. But again, this is just a legend, as archaeologists have found pottery with traces of chicha in Peru that date back at least 1.000 years, so long before the Inca Empire. Perhaps brewing chicha was a local custom that the Incas embraced. What we do know for sure is that the Incas built farms with the sole purpose of growing the jora corn that was used to make chicha. The men who worked the land were paid in chicha at the end of their working day and in special feminine schools young women were taught how to make this drink. Traditionally this involved chewing on the corn and spitting it out, as human saliva activates the process of fermentation. The chicha that was used in official ceremonies was made by a group of women who were carefully selected by the emperor (Sapa Inca). They were also known as the Virgins of the Sun. After some days or even weeks of fermenting their corn brew with just over 3 percent alcohol was ready for consumption. During the holy rituals and festivals of the Incas chicha was the only drink that was served. But before the people were allowed to get closer to the spirits and gods, they had to offer them something as well. A traditional Inca toast, which is still practiced in the countryside of the Andes mountains, had 3 steps. First some chicha in a golden cup decorated with silver and precious stones was poured on the ground for Pachamama – mother Earth to whom they praid for a good harvest. After that the cup went up to the sky to salute the spirits that they believed lived in the mountains. Only then it was time for the people to drink and try to get closer to the divine beings. The Incas also brought human sacrifices in attempts to please their gods. Usually young kids from poor families got ‘the honor’ of being this blood offer. From research on their mummified corpses scientists nowadays concluded that these kids were spoiled with chicha and coca in their last moments on Earth. Hair analyses showed they had a lot more meat, chicha and coka leaves in the last months of their lives. So probably they were treated like Inca nobility as they were prepared as a worthy offer to the gods. In the last weeks before their death their chicha intake went up sky high. Perhaps this was because of the many festivities and rituals they had to attend before they were sacrificed. Some scientists also suggested that they were kept drunk and stoned on purpose, so they would not try to excape their faith. Nowadays chicha isn’t nearly as popular in former Inca territories as it used to be. However in many villages in the highlands of Peru, Bolivia, Ecuador and Colombia locals keep the tradition alive. Their chicha de jora is usually made without the spitting, which the less adventurous among you might find a relief, but other than that it’s still quite a primitive and traditional drink. These chicherias (small chicha bars and breweries) are easy to recognize by a stick with red flags or flowers above the door. In the Inca days sharing a drink with someone was an act of friendship and understanding. This tradition is still very much alive in the Peruvian drinking culture, because when you are drinking beer with a group of people, it’s very common to all take turns with the same glass. I don’t know about that fruity fermented corn drink, but I can assure you I’ve communicated with some kind of higher power after half a bottle of Irish whisky. Cheers! We already have plenty of space for Nordic and Celtic-based Dwarves respectively in Vetia and Åskland. So T9A have the classic Dwarf concept covered and enthroned, no worries. Now cast the nets wider, and imagine Dwarves in different climes, of different Dwarven cultures. You'll find that there are quite a number of real-world historical cultures that are fit for a marriage with fantasy Dwarves. The world at large needs its dose of Dwarves. @youngseward: Nice idea! Dare to do, mate. Oh, and check out RRJones' Karak Zorn concept art of Dwarfs with Lizardmen trophies. 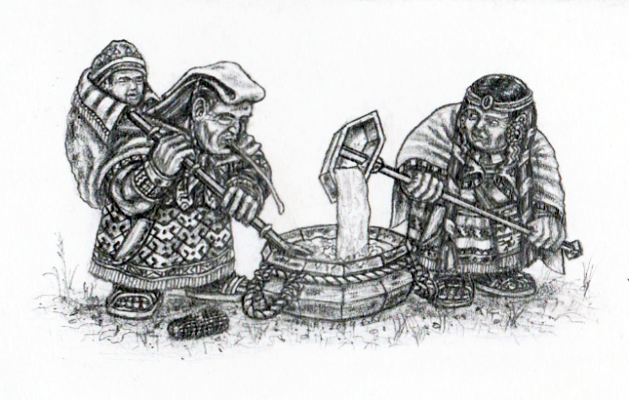 Everyday scene from the Virentian western highlands: Dwarven womenfolk brew chicha in the Wrathful Mountains, taking care to chew and spit out the raw corn drink in order for the saliva to improve the fermentation. The post was edited 2 times, last by Karak Norn Clansman ( Mar 9th 2019, 10:32pm ). Recently one of my watchers suggested that I do more work on the Incan dwarves project of mine so he can show them to his Warhammer friends. My knowledge of Warhammer could barely fill a Post-it note (there's a bunch of people at war. Hammers are involved. The 40K version is in space, with big dudes in big armor, and there's an Emperor). The important thing is I get to draw more cultural dwarf pictures, so I said okey-dokey. Admittedly I took this guy's uniform from a quick Google search for "Incan warriors." From what I could tell, most of the uniform was made of cloth even though the Incans had access to bronze, gold, and leather goods. There had to be more protective gear out there. The big gold (probably bronze) disc in the middle could protect the heart and vitals, but the shield I saw looked downright puny, and the helmet even seemed to have a bullseye in the middle! Still, these guys would be climbing up and down the Andes mountains all day, so there is some merit to wearing something light and warm. The only thing I added were the leather shoulder pads and chest protection behind the disc. I'm thinking of adding a heavier armor to a new picture, but right now I leaned more towards the cultural accuracy. One last thought, I think the reference picture I used showed an Incan officer, because that hat/helmet is way too flamboyant to just be for the front-line grunts. You'd wear that hat to be seen, and when you're commanding a thousand dudes with nothing but your voice and the way you're pointing your axe, being seen is important. The post was edited 2 times, last by Karak Norn Clansman ( Mar 10th 2019, 11:53am ). Andean dwarves... Never thought of it, but I like the idea. Picking up in previous input, I think we could safely assume that dwarves will be fit to wear the same level or armour as the European dwarves, after all those also inhabit high mountains. Lack of iron could also mean that they fashion their armour from saurian scales. Dwarves encased in scales of different colours, with taurosaur parts as shields... I like the image. I wonder though, would there be any models for Andean dwarves? European classic dwarves and middle Eastern styled dwarves are plenty, but has anyone seen other dwarves? As of present I know of no such models, not even in Westwind's Dwarf Wars miniature range. But T9A as a project and brewer of concepts is proactive, not just reactive to the existing miniature ranges out there. As such we should work on the assumption that the first steps will be people converting their own miniatures CDO-style (kitbashing with Lizardmen as they go). The next evolutionary step would be proper models or conversion kits from one or more manufacturers, picking up on concepts brewing on T9A and made appealing through artwork (art is always crucial) and hopefully also through a cool new Auxiliary army book. We're not just dancing to the tunes of others, we're ourselves piping the tune for others to follow. I say we venture boldly and with determination on carving out brand new niches in fantasy, and the models will eventually follow. After all, about half of all current Infernal Dwarf ranges grew out of Chaos Dwarfs Online (Titan Wargames - whose hexagonal scalearmour FW imitated - Ewal Dvergar, my own, to name a few). This has already been carried through succesfully from scratchbuilding through to shiny miniature ranges released by actual companies. I'm certain we can replicate this story on T9A for all manner of new fantasy concepts, albeit at a smaller scale. Creativity is infectious. Get the art, conversions and an exotic Auxiliary army list going, and models are likely to follow in due time. The Ninth Age will put its mark on the fantasy genre as a whole. We're a torch bearer, not just a bunch of people piggybacking on 30+ years of GW's Warhammer developments. The post was edited 2 times, last by Karak Norn Clansman ( Mar 10th 2019, 1:32pm ). Through minor conversions and a good paint job, these could easily fit as Andean dwarfs. The uprising of the dwarves would have been sporadic and disunited due to geography and a clampdown by the saurian masters. Each mine (future hold) would develop differently. All paying religious homage to ?? Queznir (I know Quetzacoatl was aztec but he was famously bearded). However secet symbols and signs were used often utilizing local animals. Over the years these took on totemiic status rising as quasi-deities themselves. The defeat of the saurians was piecemeal each hold achieving independence at different times and often facing several attmpts to retake it. Thus it was years before the dwarves (the Quezcuz as they call themselves) started to contact each other. Magic stolen /learned from the saurians is used to infuse stone statues of their totemic animals. Arcuballistae, bows spears atlatlt stone headed tomahawk like axes and mauls. Armour rune/totem bound leather or padded cloth. Iron usage is unknown. Shields wicker?. But gold and silver adornment common. All totems are bird, mammal or fish. Reptillian and amphibian totems are taboo given the link to their hated saurian oppressors. Now contactbetween holds maintained by giant condor. However not all mines followed the same path. Some came across knowledge of the infernal (again not sure of T9A fluff so this needs work). This great mine too eventually won its freedom using the infernal skills they had developed under the guidance of their infernal god (Haztet? Gotto reference the father of darkness somewhere). The dwarves of this mine (the Hazcuz) used magic to bind deamons into anomals to fight for them (rather than statues). With the overthrow of the saurians they used the reptiles of their previous masters as beasts of war and burden (twisting them with their infernal magic). Far from avoiding reptillian iconography the Hazcuz subverted it. Thus it was that when the Hazcuz made contact with other freed dwarves they were not greeted as long lost cousins but as evil blasphemers. Several Quezcuz holds united against these heretics and besieged them. Faced with overwhelming odds and the threat of extinction they broke out from the suege and embarked on ‘the long trek’. Effectively a running battle with pursuing Quezcuz, Saurians seeking to recapture them, grenskins and others. The trek lasted over 2 years. 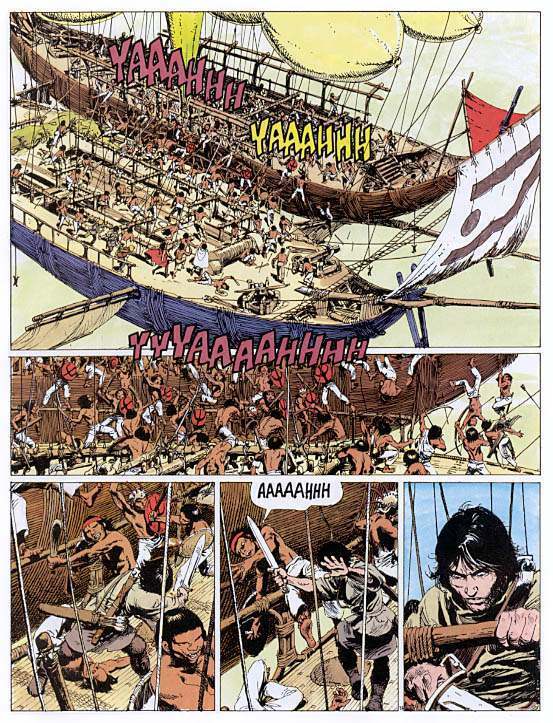 It did not end till the Hazcuz were driven from their mountain home to the lowland and escaped the pursuing Quezcuz in the jungle. Eventually they reached a land where they felt safe (unsure if this should be far south Terra del Fuego or Mexico). a hot forbidding land. Here they built their step puramids in memory of their lost mountain home. If you go with the Mexico option you can go full aztec. Magic is using runes/reptillian totems to bind infernal spirits into creatures thus empowering them ?twisting? them but seriously reducing their life span (they literally! Burn out) runes/totems branded on (fire dwarves yay). Weaponry bucklers of alligator hide. Armour of toughened reptile skin. Wooden Warclubs (see plains indian warclubs) with obsidian studs/shards. ?slings? Spears. Animals adapted as weapons eg venom spitting reptile held as hand arms etc. There that is me done. It was a long drive today. The Wrathful Mountains Dwarves will henceforth take inspiration from Inca, not Moche. Yeah, let's go for a full flying army for those dwarves. See them how they carved fortresses out of the flanks of the mightiest peaks, with wide openings on the side. In that enormous cave that is actually the entrance to the hidden fortress, countless preying birds are perched. The dwarves routinely ride them for any errand they are sent to. We can have full condor dwarves unit, much like Equitan pegasus knights. 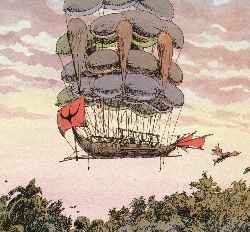 Local Infernals on the other hand use a mightier technology, such as magic-propelled zeppelins, to ride between the sharp needle-like peaks. All this, because those mountains are so high and sharp, that the valleys below are extremely narrow and dark, some of them full of strange water and slime, and scary monsters without a name, much like the fish from the deepest abyss. 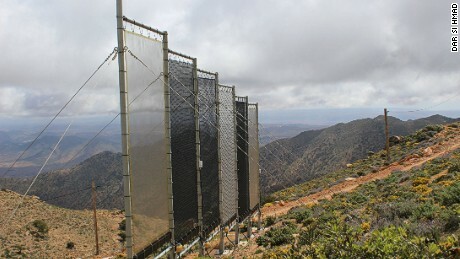 On such heights, not much rain, but our dwarves grow food on terrasses on the very mountain top, catching the humidity from the clouds by ingeniously crafted « fog nets ». Hey I really like the Inca Dwarf concept! That would fit the dwarfs into the "lizardmen" realm really easily. 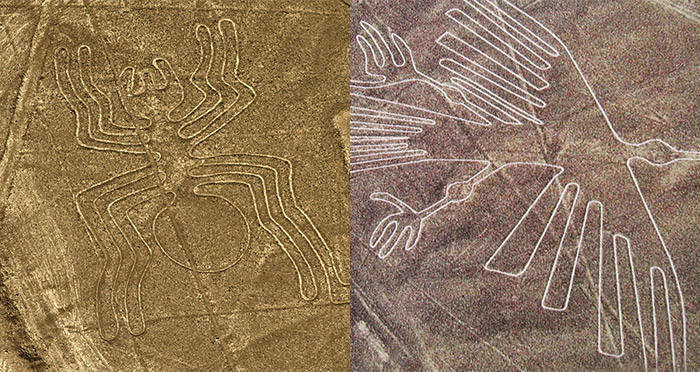 I also like the idea of the dwarfs being behind some kind of "Nazca Lines" construction. Maybe they were able to engineers these marvels by using a gyrocopter-like device? Or hot air balloons?